Student activism in Africa, at least since the early 1990s, has been preoccupied with popular struggles for democracy in both their respective countries and institutions of higher learning. The changing socio-economic and political conditions in many African countries, characterized by the decline in economic growth and the introduction of multi-party politics, among several other factors, have ha… d different impact on students and student political organizations in African universities. This book recounts the responses of students to these changes in their attempt to negotiate better living and studying conditions. 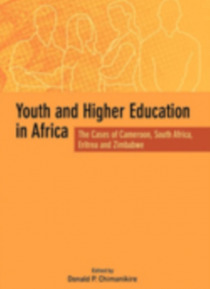 The four case studies contained in the book - Cameroon, South Africa, Zimbabwe and Eritrea - clearly reveal the very important aspects of the situation in which African students find themselves in many countries, and underscores the need to understand the character and development of higher education on the continent. Ministries of Higher Education, Vice Chancellors, Deans of Students, Student Unions and parents will find this book very useful in terms of understanding the tensions that often arise at institutions of higher learning and why solutions seem to be elusive.